Thanks to all the people who sent me a plugin for vCheck 6.0, these have now been published as part of vCheck 6.10 and zipped into a single download file which can be downloaded from below. I also love the enhancements which have been sent to me for the core vCheck script, these include a script which times and reports on how long the plugins take – great for troubleshooting ! As always you can find more information about vCheck and how to use this by visiting this page. # v 6.7 – Added Multiple plugins from contributors – Thanks! # V 6.4 – Added a 00 plugin and VeryLastPlugin for vCenter connection info to separate the report entirely from VMware if needed. # V 6.3 – Changed the format of each Plugin so you can include a count for each header and altered plugin layout for each plugin. # V 6.1 – Bug fixes, filter for ps1 files only in the plugins folder so other files can be kept in the plugins folder. If a plugin is not needed in your environment remove it from the plugins folder as it will speed up the execution of your script. I was running PowerCLI5.0.0 I thought this was the latest version as that is the latest version on the vmware download site under vsphere 5, drivers and tools. Wrong! Thanks for the new 6.15 version, it definitely works better, the issues I mentioned have all been fixed. All that is left for now is to define what vcenter rights are needed for each check. Thx for responding, Alan. I am using the same account which is why I’m a little surprised with the output. Strange indeed. Glad you got it fixed Ron, that was puzzling me ! There appears to be a limitation when running the script from a VM (that is not the vCenter and) when there is more than 1 Datacenter. Hoping you can either confirm, deny and/ or advise if a workaround exists (if applicable). When running vCheck from the VM, I’m only getting results from the Datacenter in which the VM resides. I’d like the Report to return results from all other Datacenters listed within the target $VIServer. When running vCheck from the actual vCenter itself or another device, such as a workstation that is not being managed by vCenter, the Report contains all objects from all Datacenters. Is what I’m experiencing expected behaviour? If not, is there anything you can suggest that would need to be done to correct this anomaly? 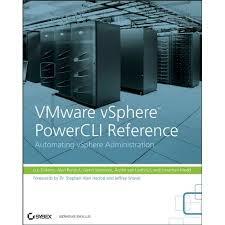 Ron, Im not sure what the issue is here, PowerCLI is just a client that hooks into the vSphere API, it shouldn’t matter where you run it from you should get the same results, are you using the same user account each time ? Get-Datastores cmdlet which returns the incorrect values for CapacityGB and FreespaceGB. This has caused your Datastores(Less than 50% free) Report to produce inaccurate results in the CapacityGB and FreespaceGB columns(no fault of yours). In fact, it appears that CapacityGB should actually be the value of FreespaceGB and vice versa. The values for CapacityMB and FreespaceMB are correct and can be used to calculate the correct GB solution by dividing by 1024MB. I hope this information is helpful to you. # v 6.15 – Added Category to all plugins and features to vCheckUtils script for Categorys. # v 6.12 – Changed Version to PluginVersion in each Plugin as the word Version is very hard to isolate! # v 6.11 – Fixed a copy and paste mistake and plugin issues. This reports the values the wrong way round. Capacity should be bigger than Free space 🙂 Confirmed values using vCenter. 50 VMs with CPU or Memory Limits Configured. For some reason not all VMs are being reported. I know I have 10 – 15 vms with mem limits but the report only gives 1. I have not yet worked out why. If I run just that test, it gives the correct results but not if run as part of all the tests. Takes a long time and gives a division by 0 error. Also, it would be useful to know what priviledges should be granted to a role and at which level the role/user needs to be applied in vcenter. I want to have a local user on the vCenter server that runs the vCheck and only has priviledges to get the information. I know (now) that I need to grant the role at the top level (otherwise check 44 vkernel warnings reports nothing :), not all 43 vcenter event logs are shown, etc ) but what is the minimum priviledges needed. Maybe it would be useful to add checks within each check to ensure enough priviledges have been granted and warn if insufficient. It may be useful if the script reported when starting a test rather than just when its finished, and maybe also which test number (makes it easier to find when you want to remove it). 71, A new faster version will be included in the next version. Next version will be released tonight. Hi Alan. Thanks. We replicate our servers to a DR site which run’s in 30 min a time. Does the Snapshot Information plugin only check snapshots which are kept for a long period of time. It should not take that long to check 2 days. We only have 30 VM’s. Manesh, there were more changes to that plugin than just that, if you prefer the old plugin you can always use that in the new version of the script. The new plugin attempts to find the user who created it to, this takes time as it searches back through the logs. The vcheck 6.10 just sits at finshed calculation General Information for a long time. Any ideas? Manesh, The next one it runs after that is the Snapshot information, this can take a long time if you have lots of snapshots.